Have you ever wondered if you were actually making a difference in the world? I certainly have asked myself that question, many times. 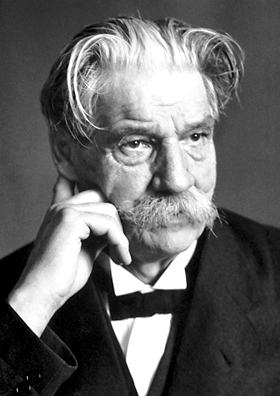 Most of us will never achieve the level of world service that Albert Schweitzer, and others like him, did. But that does not mean we should do nothing. When I first started on this spiritual path many years ago I had two goals. First, I wanted to create the life of my dreams; and second, I wanted to help others create the lives of their dreams. Little did I know back then those were not two separate dreams, but one and the same dream. As time went on and I started taking my work public, I began to wonder if I was making any difference in people’s lives. I was doing what I loved. But was I helping others? I had serious doubts, especially when others criticized me or my work—which, in the beginning, seemed often. Those of you whose work is in the public eye know what that’s like. After all, we’re never going to please everybody all the time. After a few years I learned to get beyond the criticism. I was doing what I loved, and no longer cared what others thought of me. I cared about them, but not about their opinions of me, negative or positive. But, every now and then, the old doubts and questions would rear their heads—though they almost never do any longer. One time in particular, when I was questioning the value of my work, I received a letter from one of our readers. He was commenting on a video we had done, The Way of the Warrior. His letter took me totally by surprise. He said he would have been dead had he not seen our video. Talk about a wakeup call! I had no idea anything I wrote or said could make that much difference in someone’s life. Here’s that story. This is a short video of the Schweitzer quotations I’ve found most inspiring and uplifting. If you doubt your worth and your power to make a difference, Dr. Schweitzer will change your mind. Are You Trying To Save the World? Have you had similar experiences where you made a positive difference in someone’s life? Please share your thoughts and comments with us. Thank you, Tara. I agree with you — giving up judgement would bring us quickly closer to peace on earth. My perspective now is that every single person in every single now moment with every single thought and action makes a difference in this world, and it affects the spiritual world as well. Whether that thought or action is positively effective or negatively effective depends on us alone. We must begin to pay attention to ourselves, what we think, how we behave, what we are doing and feeling in the moment. If it’s not positive, change it. Most on this site know we create our own reality. We make a difference to others lives and to the Earth at every moment, with every word, every smile, every thought, and certainly on You Tube (grin). Have a super day everyone, and blessings to you, my friend. I agree wholeheartedly — we must all begin to pay more attention to our thoughts and actions. We get into so many negative habits, that we’re not even aware of, because we’re not fully present in the moment. I agree, John, in wondering if what we do or say means anything or makes a difference to anyone. Years ago, in early 2000, I piloted a talking-stick group for my employer. It was an attempt to get to know one another and connect, human-to-human, as co-workers and management. As an introduction to what the pilot was, I was invited to give a presentation to an upper-level management board meeting. It went well and they gave their okay to go ahead with the pilot. I launched the pilot by giving the same intro and presentation to supervisor meetings making the rounds to get the word out before I sent out flyers and invitations for the first scheduled pilot meetings. I remember one of the first supervisor meetings I went to. I was the first item on their agenda to give my presentation. I gave a short overview, shared a personal story and asked questions on how they felt about trust and harmony while passing the talking-stick around. I finished by reading a poem called “The Invitation” by Oriah Mountain Dreamer (http://www.davidpbrown.co.uk/poetry/oriah-mountain-dreamer.html). As they moved onto the next item on their agenda, I left. I remember walking down the hall and was suddenly struck with emotions welling up inside of me. I started to sob. I felt so out-of-place asking myself “this is the craziest thing I’ve ever done”, “what in the world was I thinking I could accomplish?” I ducked into a break-out room so I could be alone and compose myself before going back to my desk. A little while later after I got back to my desk, I noticed the supervisor meeting was finished and breaking up. One of the supervisors passed by my desk and stopped. She told me it took everything within her to keep from crying in the meeting when I read “The Invitation”. She had just heard that her mother was seriously ill and dying. The poem touched her heart and made the preciousness of life more real to her at that moment. We hugged each other as she wept and she thanked me for sharing this with them. I was moved by the moment and also how gentle and tender Spirit was in confirming that I was exactly where I needed to be in piloting the talking-stick meetings in the corporate world. You’re right. We never know how lives are touched with what we say or do. We just have to trust and have faith in the work we’ve been given to do. Thank you for permitting me to share. I know it was a long story. Thanks very much, Pat, for your comments and thoughts. What a beautiful tale you tell! It’s a powerful testament to how much we touch one another’s lives, often without even knowing it. BTW, I love Oriah Mountain Dreamer — she’s an amazing spiritual teacher. And that poem is my favorite of all her wonderful writings. I love Oriah too. I’m glad I got a chance to meet her at a spiritual conference, where she was one of the speakers, and she autographed her book for me. She’s too is an inspiration to me. Thanks again, Pat, for the link. I’m sure our readers will enjoy your blog — you’re a great writer. Thank you, John. I hope you know how much you make a difference. You’re an inspiration to me. Sorry, John, that link didn’t come out right. It’s called “A Talking Stick and a Poem”. How wonderful to see my good friend, Albert Schweitzer, shown with some good quotations. I am uplifted. I wish his giving up his European careers to become a physician and start and run a hospital in Gabon had been mentioned. Thank you, John. You’re most welcome, George. As you know, we both have a strong connection to Dr. Schweitzer — especially you. What a moving story about the Vietnam veteran’s letter. It really touched me. The way of the warrior is a powerful piece of writing. When I was a primary school teacher, one of my specialisms was music and there was usually a song or two wafting from my classroom at any time of the day! The kids loved it. Many years later I had an email from a parent of one of the very young children. The letter expressed gratitude, saying that my music had inspired the child and he had gone onto study music at university, singing with a national youth choir. Making a difference can come in many forms. The humble, patient, caring mother makes a huge difference in the lives of her children. She may not be influencing people at the same level as, for example, a world humanitarian figure such as Mandela, but to her children she is the world. We all have the potential to make a difference in some way and we should have gratitude for those who have made a positive difference in our lives, however small. Finally, I would like to express my own gratitude to you, John and spirit for you have had such a profound impact upon my spiritual journey and made a real, positive difference! Thanks very much, Sarah, for your kind words. What a wonderful story you share about how you obviously touched your student in a profound way! I agree with you — making a difference can come in many forms. In fact, I believe there is not one person on the planet who does NOT have a unique, special gift to offer others. As you said, it does not matter how “small” that gift is. In fact, I’d say there’s no such thing as a “small” gift if it touches the life of even only one other person. Thank you, Sarah, for letting me know the difference we have made in your life. That means a lot! You’re welcome! If it weren’t for you and spirit I would still be trapped in my old Hell and brimstone inspired belief system. At the mercy of the fates!! Now I am taking control of my own life and am enjoying my spiritual journey at last. Thanks again, Sarah, for your kind words. That is a question I ask myself. Every once in awhile I would get an email that said, thank you, I needed that. Once a lady I really hadn’t go to know yet on a private list who said a poem I wrote was the perfect thing for her son’s situation. He tried to commit suicide and that particular poem helped him through a trying time. You never know how important is a kind word, a smile, a hug can uplift another even strangers. Life is so miraculous and we are all so connected that yes I feel your pain and your joy. Even if one person is helped through trying times that is the greatest gift of all for in turn they will in their own way help others. Most of the time I never know if anything I write or do help others, the point is by doing what is in your heart can never be negative. In the beginning I didn’t know if anything I wrote would help anyone and I got negative feed back and it worried me. Now I write simply for the joy of doing what is in my heart even if not one person read it, its out there and that is a gift I give myself and the world at large. Thanks very much, Jeannie, for sharing your experiences and thoughts. I agree with you — writing simply for the joy of it is enough.